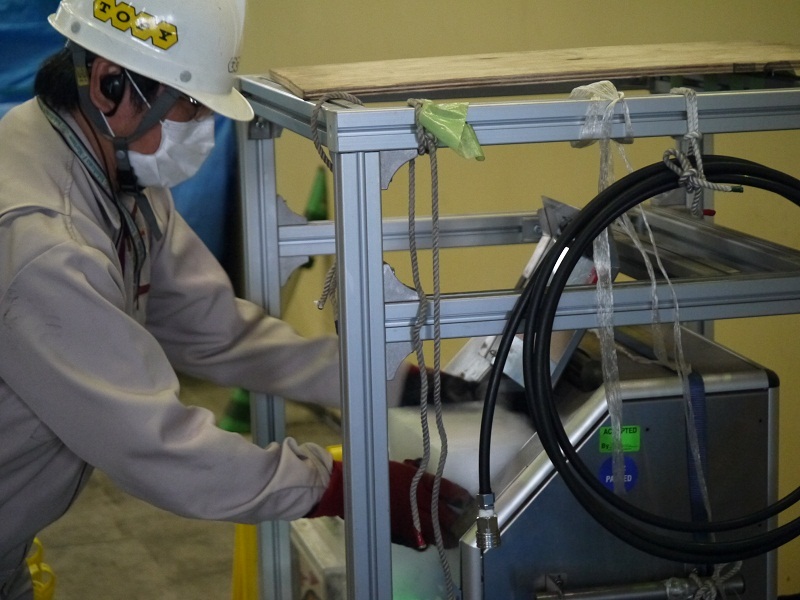 The decontamination work in reactor buildings at the Fukushima Daiichi Nuclear Power Station (NPS) must be accelerated as early as possible because radiation doses there are currently high and therefor workers are not able to put in long hours. 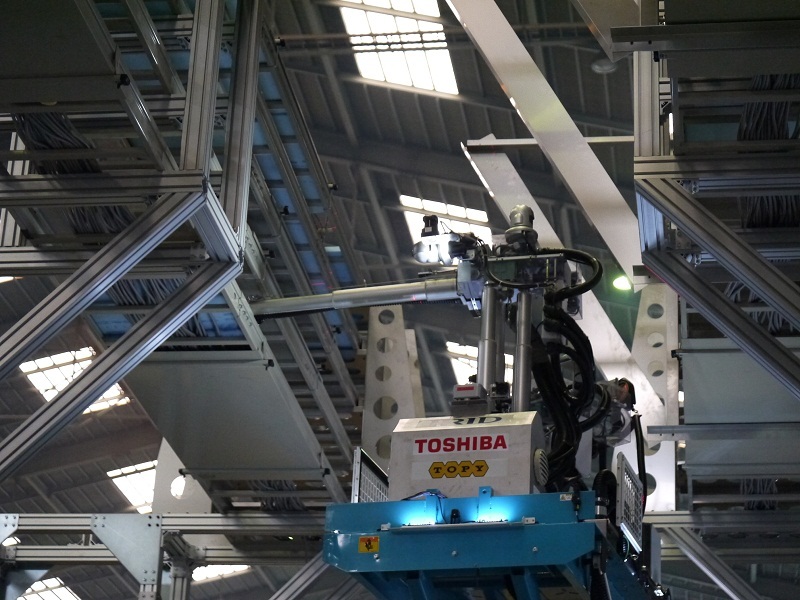 On the first floor of the reactor buildings (with a ceiling height of 7-8 m), decontamination has been carried out for low places such as floor surfaces. 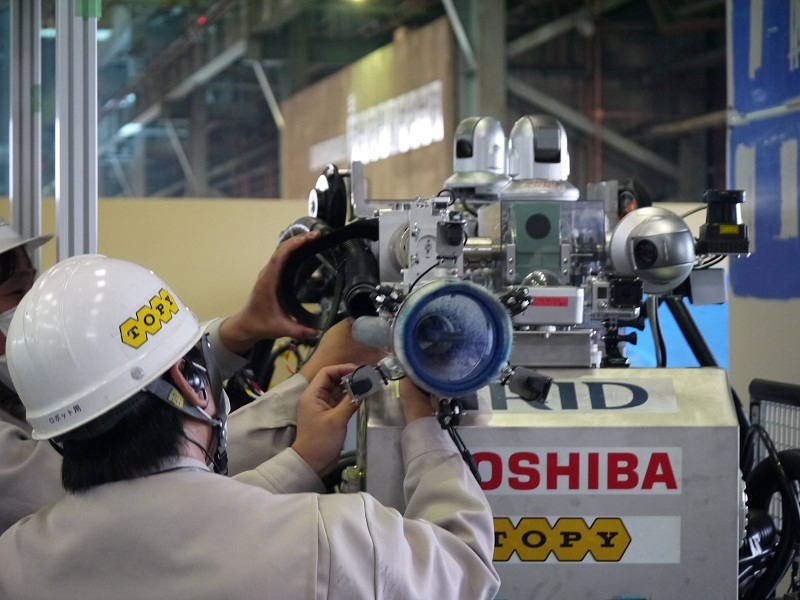 However, the results of the investigation on the decontamination condition in the reactor buildings reveals that emissions from component parts, including ducts, cable trays and piping, are about 70% of the overall dose in the reactor building, making them the biggest contributors to the high dose. 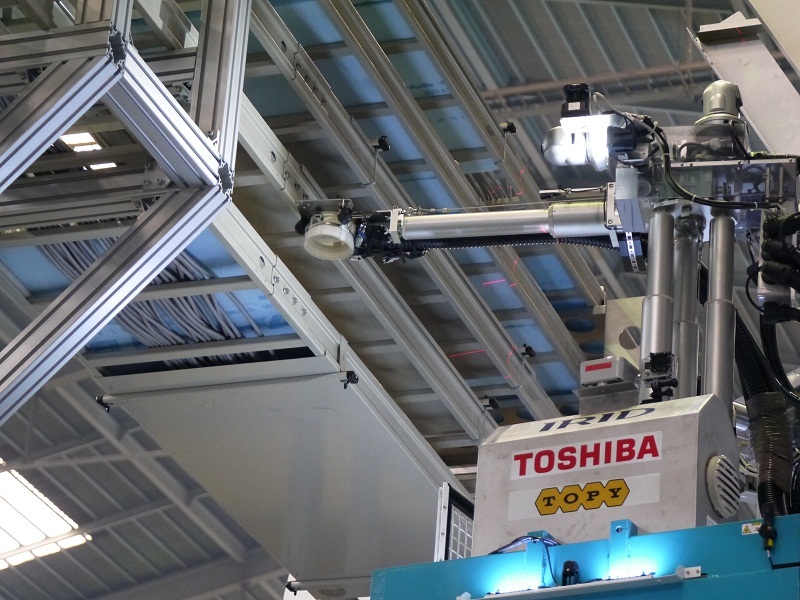 Based on this, reducing the dose from the high places is expected to be effective in the overall dose reduction. 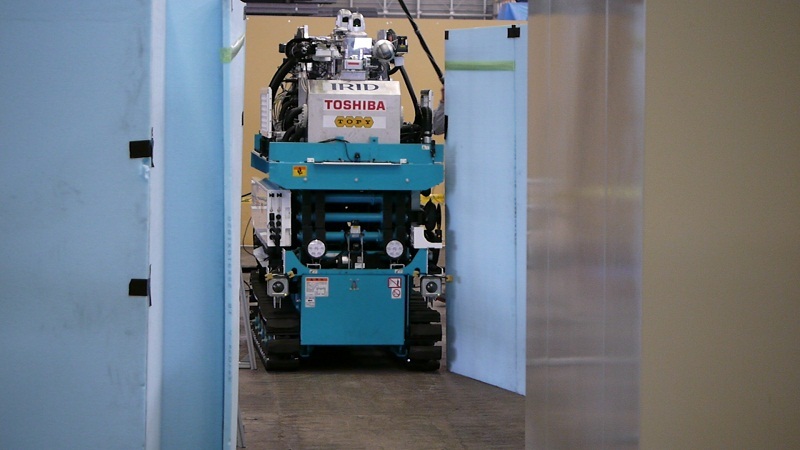 *20% of the overall dose comes from the floor surfaces and 10% from walls, ceilings, and so on. 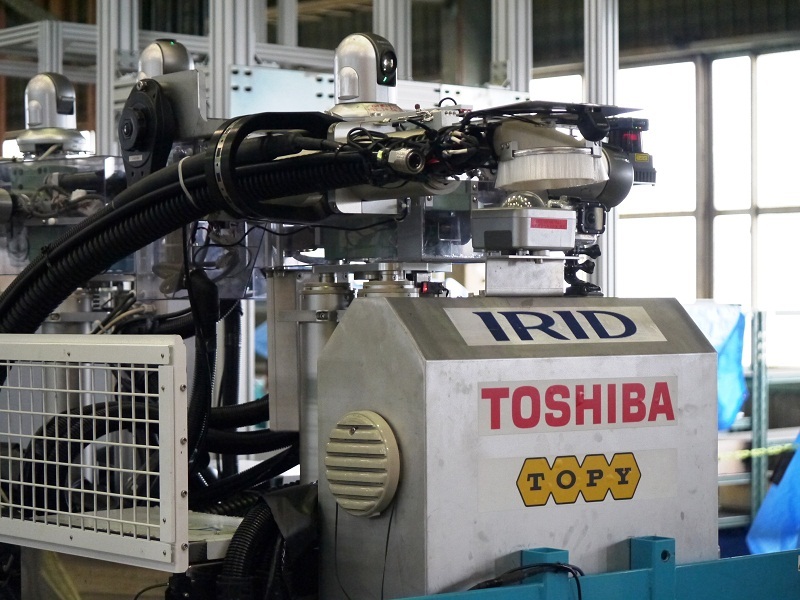 Under the initiative of TOSHIBA CORPORATION, an IRID member, IRID has developed dry ice blast decontamination equipment for high places. 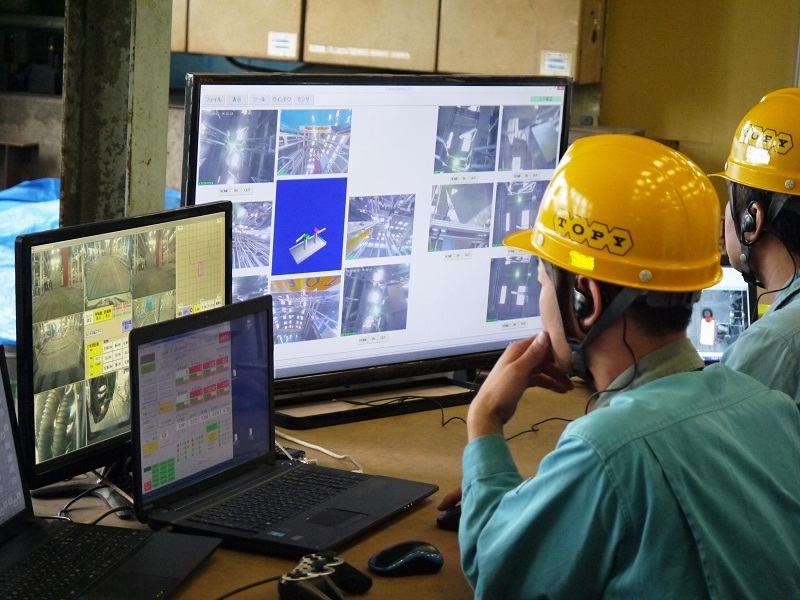 A mock-up facility that simulated a part of the reactor building was assembled in a plant in Toyohashi City, Aichi Prefecture. 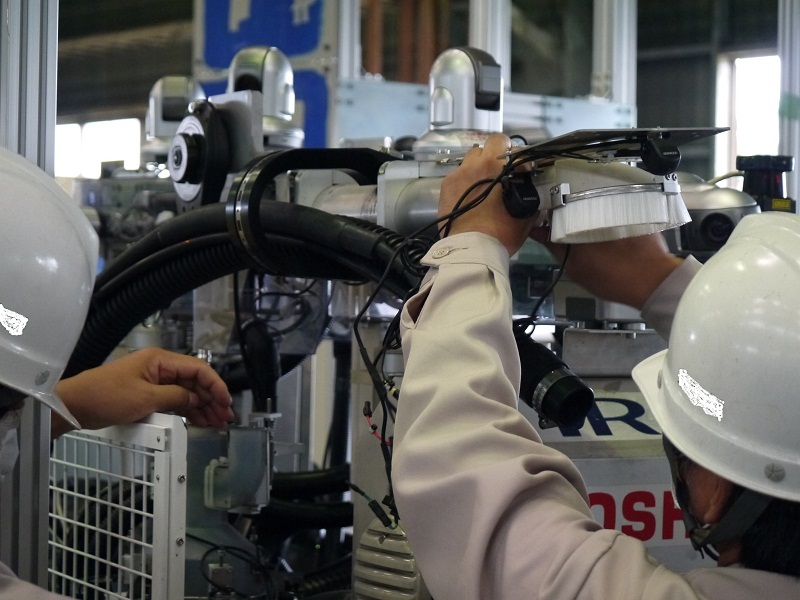 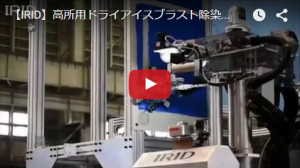 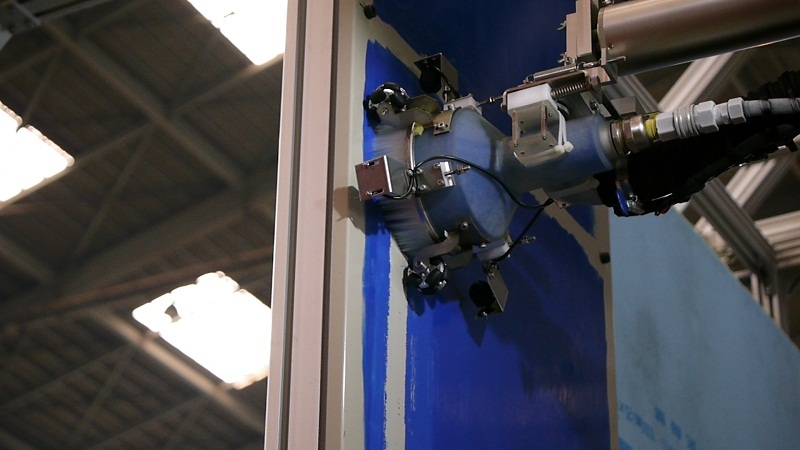 To verify movement and decontamination performance of the robot in narrow or uneven places or in the dark, demonstration tests were conducted and completed by the end of August 2015. 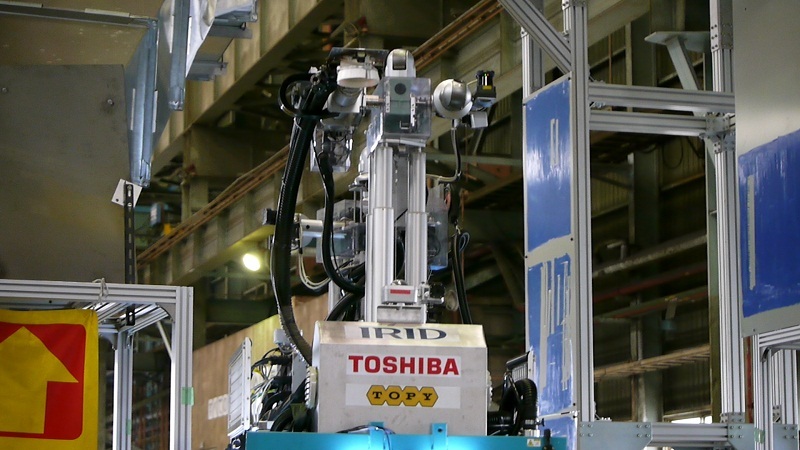 The robot decontaminates radioactive contaminants attached to ducts, piping, walls, and so on by spraying dry ice powder on them and scraping it off. 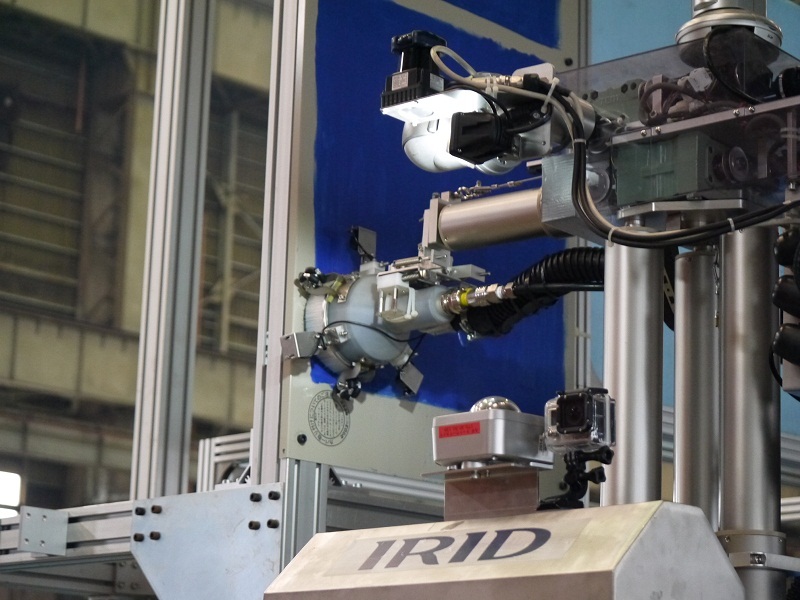 This technique produces less secondary waste and is less likely to damage parent material because the dry ice itself is sublimed. 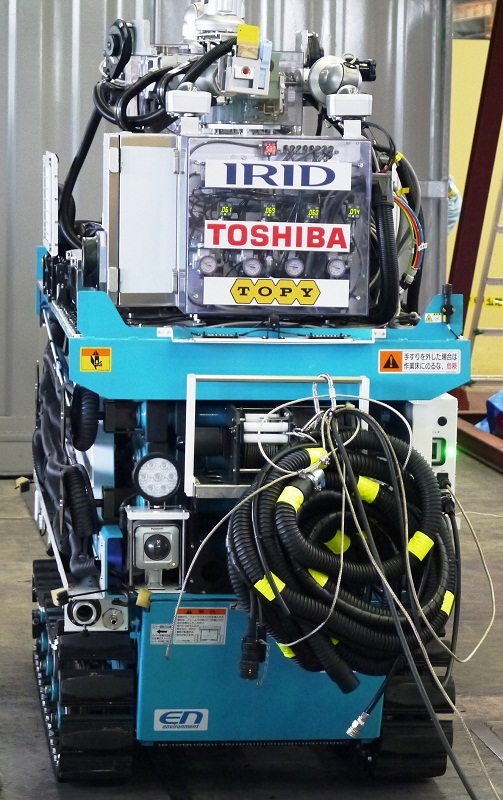 It is equipped with a suction feature and remotely operated using a total of 22 cameras for movement, for lifting and decontamination work and for identification of the robot’s location. 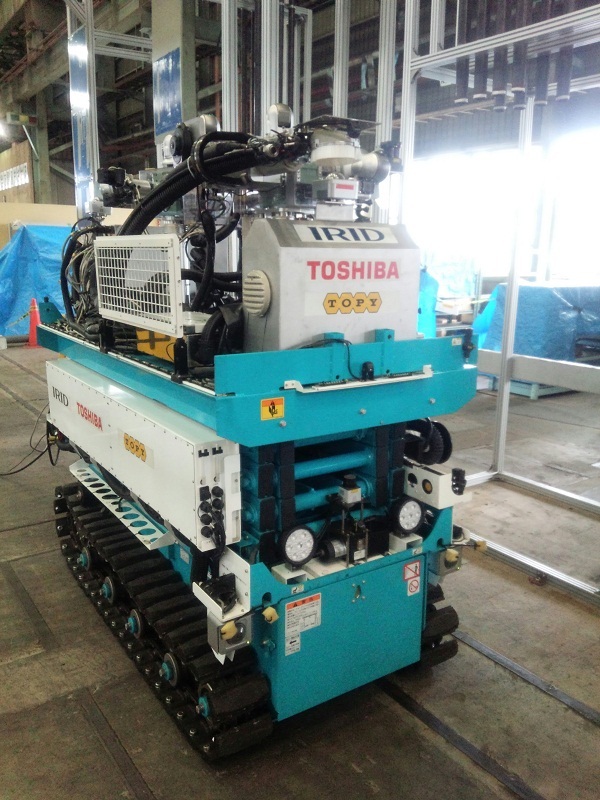 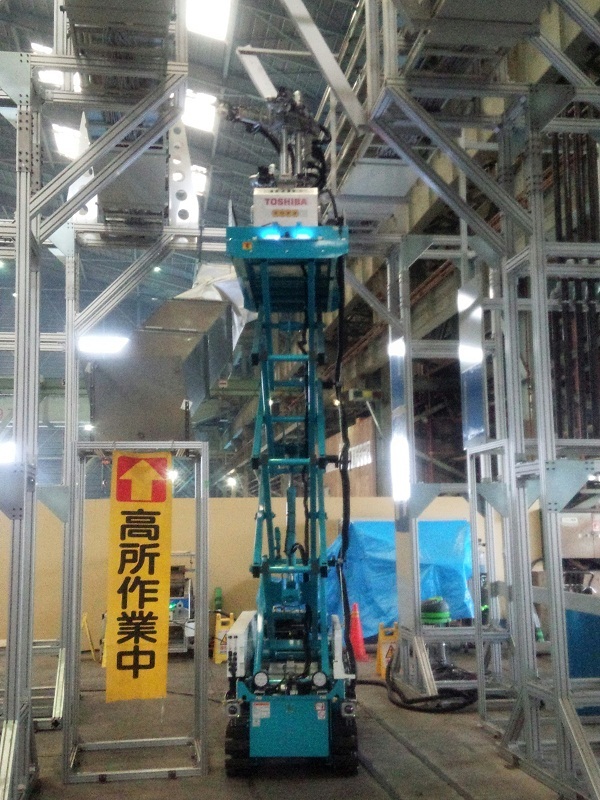 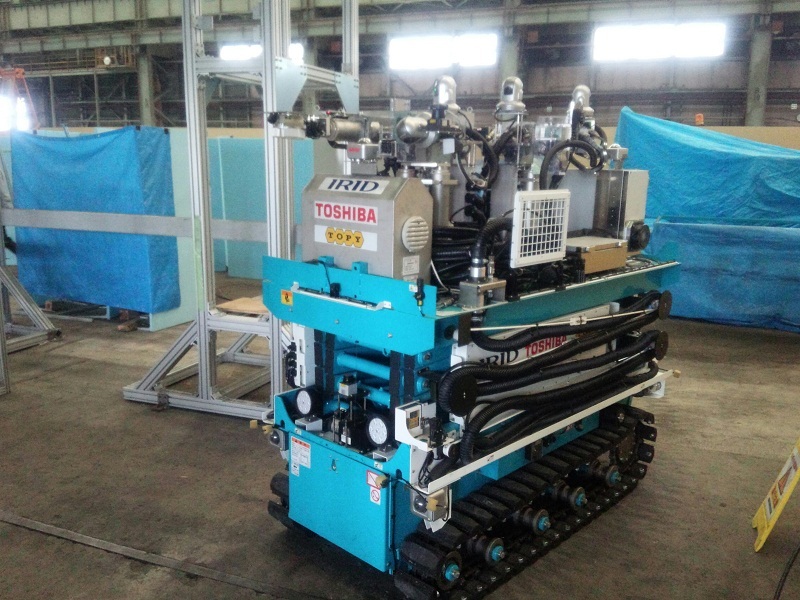 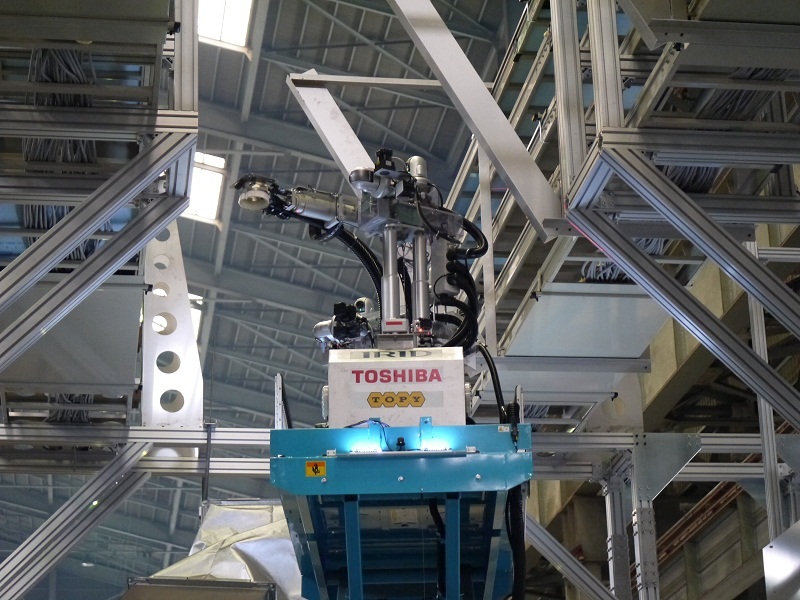 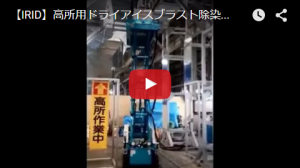 It is designed to be capable of working at up to a height of about 8 m.
The robot is due to be used to decontaminate the high places on the first floor in the reactor building at the Fukushima Daiichi NPS Unit 3 as early as November this year.